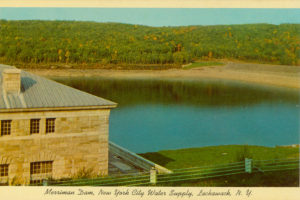 Ellenville Public Library & Museum is proud to present “Lost Hamlets of the Rondout Reservoir,” recipient of the Greater Hudson Heritage Network Award for Excellence. Today from 10-1 meet Sandy Marsh, award winning curator as she discusses the inspiration behind this poignant exhibit. The exhibit presented at the Persen House is a sampling of the complete exhibit available online at hrvh.org.